Interior Dialogues has a successful track record of 9 years in manufacturing of porta cabin, portable cabins and Prefabricated Structure products. At Interior Dialogues Excellence is a commitment. In its constant strive for excellence; Interior Dialogues has emerged as porta cabin manufacturers in the cabin industry and Prefabricated Structure products. Interior Dialogues wide ranges of pre-fabricated products are popular as on site accommodation at large-scale construction sites such as Larsen & Toubro, Delhi Metro rail corporation Ltd. Etc. Interior Dialogues is a company that is built around a team of professional who are innovative in designing and execution, which creates a unique, durable range of Prefabricated Structure products. With their commitment towards excellence, Interior Dialogues produces precise custom built, cost effective products and on schedule deliveries. 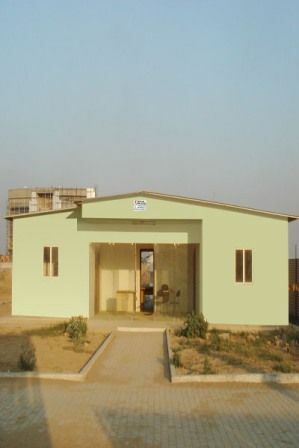 Interior Dialogues has a prompt after sales service team and efficient national sales like portable cabin, site office, Prefabricated Structure, container office, labour colony, portable washrooms and portable gym etc in India. 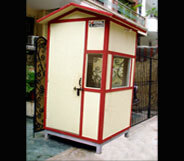 It also offers excellent solutions for on-site accommodation, which guarantee customer satisfaction.